MECHANICSBURG, Pa. — Sunbury Press has released the bestsellers list for August. Former Congressman Jason Altmire’s Dead Center: How Political Polarization Divided America and What We Can Do About It took the top spot. Embattled Freedom by Jim Remsen was runner-up. Jason Altmire’s Dead Center: How Political Polarization Divided America and What We Can Do About It was #1 due to brisk advance sales as the author prepares for an October release. Jim Remsen’s Embattled Freedom took #2 due to author appearances. Joe Fair’s Call Sign Dracula placed #3 due to the sales of the Kindle version. Wonder Boy: The Story of Carl Scheib by Lawrence Knorr grabbed the fourth spot thanks to seasonal interest. Mike Campbell’s Amelia Earhart: The Truth at Last slipped to #5 as it comes off of the publicity from the controversial History Channel program which drew most of its material from the book or complementary sources. MECHANICSBURG, Pa. — Sunbury Press has released the bestsellers list for July. Mike Campbell’s Amelia Earhart: The Truth at Last took the top spot. Call Sign Dracula by Joe Fair was runner up. Mike Campbell’s Amelia Earhart: The Truth at Last was #1 due to brisk sales following the airing of the controversial History Channel program which drew most of its material from the book or complementary sources. It has been the top-selling Amelia Earhart book on Amazon. Joe Fair’s Call Sign Dracula took #2 due to the introduction of a Kindle version. Wonder Boy: The Story of Carl Scheib by Lawrence Knorr grabbed the third spot thanks to seasonal interest. Doug Beed’s Chasing Understanding in the Jungles of Vietnam continued to sell well, slipping to #4. Max Klinger claimed the fifth spot with his 4th edition of The Descendants of Johann Peter Klinger and Catharina Steinbruch primarily due to orders from extended relations. MECHANICSBURG, Pa.— Sunbury Press has released the bestsellers list for December. 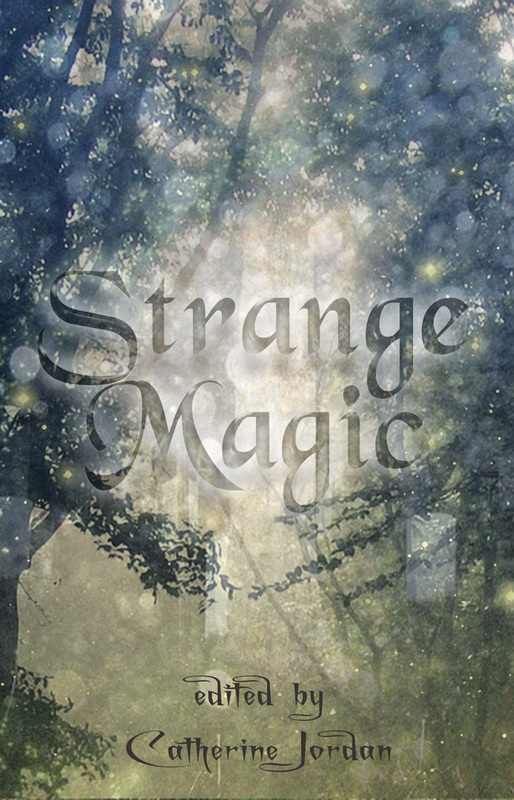 The short story anthology Strange Magic edited by Catherine Jordan took the top spot. Seinsoth by Steven K Wagner was runner up. The Perry County Council of the Arts’ writers workshop anthology “Strange Magic” was #1 due to advance sales leading up to the release party on January 21 at the Landis House in Newport, PA. Steven K Wagner’s biography “Seinsoth” about the Dodger who almost was took #2 due to bookstore sales. Lawrence Knorr’s “Wonder Boy: The Story of Carl Scheib – The Youngest Player in American League History” continued to sell briskly due to seasonal interest, taking #3. Brad Bumsted’s “Keystone Corruption Continued” grabbed #4 following a revision about the Kathleen Kane trial. Beth Lancione’s “Solomon Screech Owl’s Kangaroo Caper” took #5 thanks to holiday orders. MECHANICSBURG, Pa. — Sunbury Press has released the bestsellers list for October. Robert Barsky’s novel Hatched took the top spot. The Journey Called Life by Christina Burns was runner up. Robert Barksy’s “Hatched” was #1 due to author events and advertising in The New Yorker magazine. Christina Burns’ “The Journey Called Life” debuted at #2 thanks to author events. Lawrence Knorr’s “Wonder Boy: The Story of Carl Scheib – The Youngest Player in American League History” continued to sell briskly due to seasonal interest, taking #3. Jess Steven Hughes’ “The Sign of the Eagle” rebouned to #4 thanks to author events in the Pacific Northwest. 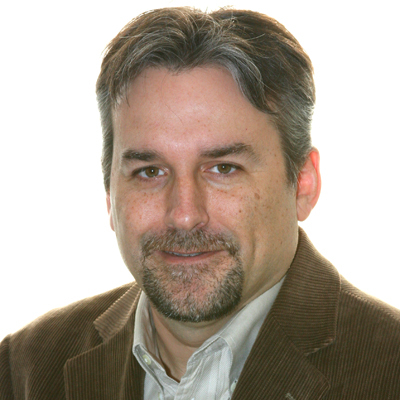 John Kachuba took the 5th spot with “The Savage Apostle,” boosted by author events in Ohio. MECHANICSBURG, Pa. — Sunbury Press has released the bestsellers list for September. The Gratz Historical Society’sHistory of Lykens Township Volume 1 took the top spot. Hatched by Robert Barsky was runner up. 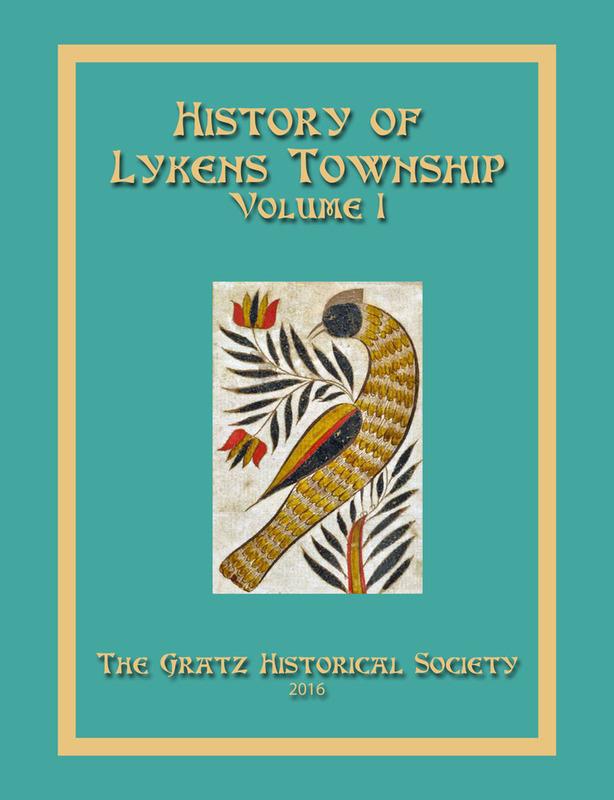 The Gratz Historical Society’s “History of Lykens Township Volume 1” was #1 due to advance orders at the society. Robert Barksy’s “Hatched” soared to #2 thanks to author events and an advertisement in the New Yorker. Lawrence Knorr’s “Wonder Boy: The Story of Carl Scheib – The Youngest Player in American League History” continued to sell briskly due to seasonal interest, taking #3. Brad Bumsted’s expose “Keystone Corruption Continues” ranked #4 due to interest in the Kathleen Kane trial, and Brad’s numerous media appearances. “Cast Iron Signs of Pennsylvania Towns” by N Clair Clawser took the 5th spot thanks to orders processed by the author. MECHANICSBURG, Pa. — Sunbury Press has released the bestsellers list for August. Mark Singel’s political memoir A Year of Change and Consequences took the top spot. Wonder Boy by Lawrence Knorr was runner up. Mark Singel’s memoir “A Year of Change and Consequences” was #1 due to media attention and planned events. 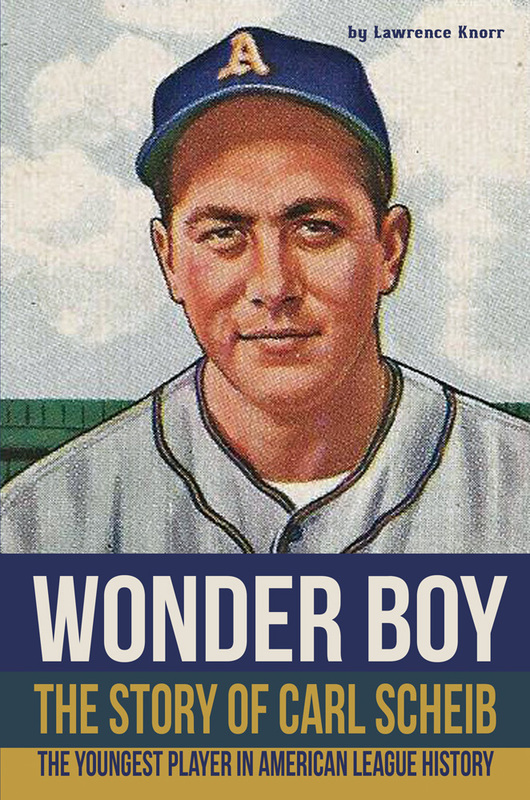 Lawrence Knorr’s “Wonder Boy: The Story of Carl Scheib – The Youngest Player in American League History” continued to sell briskly due to seasonal interest. Brad Bumsted’s expose “Keystone Corruption Continues” showed #3 due to interest in the Kathleen Kane trial, and Brad’s numerous media appearances. 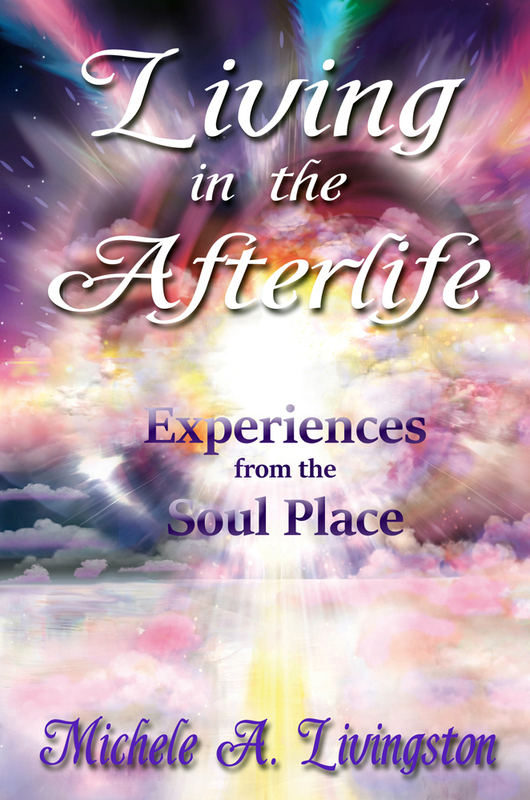 July’s #1 by Michele Livingston – “Living in the Afterlife” – continued to sell well, holding at #4. Her “Messages from Beyond” nabbed the 49th spot. 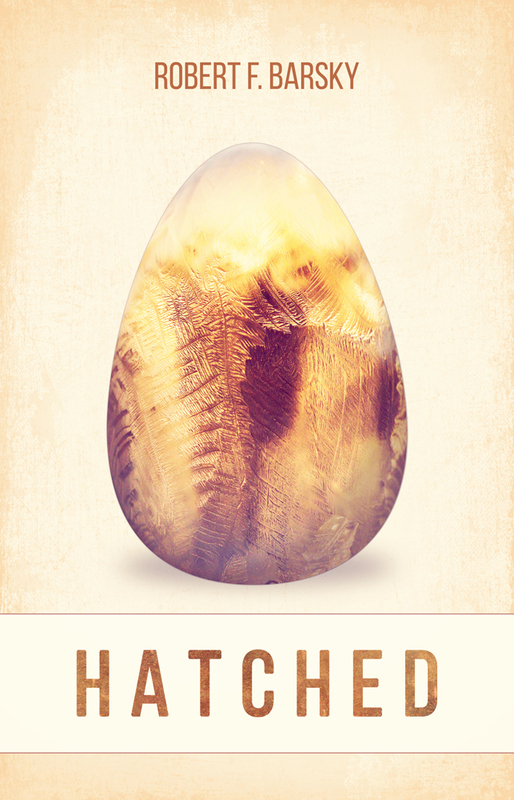 Robert Barsky’s new novel “Hatched” debuted at #5 thanks to release publicity. MECHANICSBURG, Pa. — Sunbury Press has released the bestsellers list for July. Lawrence Knorr’s baseball biography of Carl Scheib, Wonder Boy, took the top spot. The Gingerbread Man’s School Adventure by Sherri Maret was runner up. Lawrence Knorr’s “Wonder Boy: The Story of Carl Scheib – The Youngest Player in American League History” nabbed the top spot thanks to a well-attended event in Gratz, PA honoring the former Philadelphia Athletic. The event also received substantial media attention. Knorr also grabbed #17 with “There is Something about Rough and Ready,” #35 with “Keystone Tombstones Civil War” in tandem with Joe Farrell and Joe Farley, and #45 with “General John Reynolds.” Sherri Maret’s new childrens hardcover “The Gingerbread Man’s School Adventure” placed thanks to advance purchases. Mark Singel’s memoir “A Year of Change and Consequences” held strong at #3 due to media attention and planned events. Alan Mindell’s “The B Team” #4 and “The Closer” #14 continue to benefit from author events. Last month’s #1 by Michele Livingston – “Living in the Afterlife” – continued to sell well, holding at #5. Her “Messages from Beyond” nabbed the 20th spot. The company debuted a top 50 bestseller list this month. History / Memoir / Biography / Genealogy titles took 25 of the positions. Thriller Fiction was the next most prevelant category. MECHANICSBURG, Pa. — Sunbury Press has released the bestsellers list for June. Michele Livingston’s record of her channeled spirit encounters, Living in the Afterlife earned the top spot. A Year of Change and Consequences by former governor Mark Singel was second. Michele Livingston’s “Living in the Afterlife” debuted in the top spot thanks to advance sales prior to her appearance at the Lily Dale Assembly in Lily Dale, NY in July. Her “Messages from Beyond” also took #4. 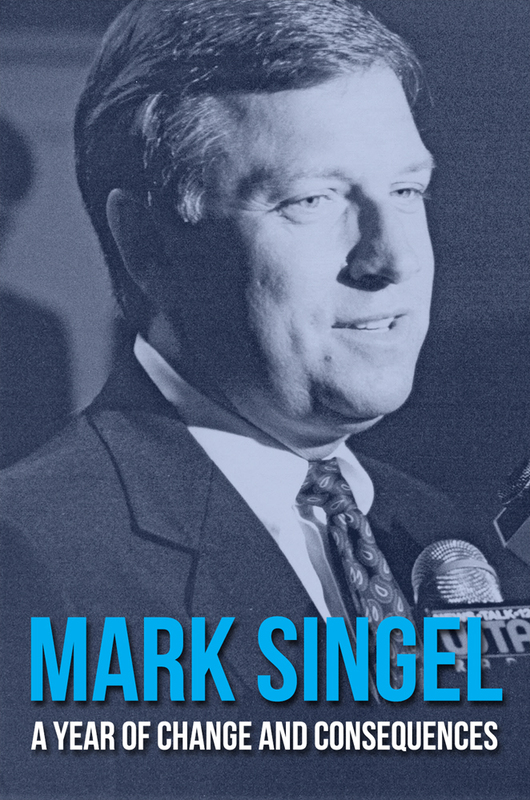 Former Pennsylvania governor Mark Singel’s new release, “A Year of Change and Consequences”shot out of the gate to #2 thanks to attention in the press. “Bitter Sweet,” the short story anthology shepherded by editor Catherine Jordan, who led the writing workshop at the Fredericksen Library in Camp Hill, rocketed to #3 due to strong sales at the library’s release celebration. All author proceeds and profits were donated to the library. “What Do You Say?,” last month’s bestseller, hung onto #5 thanks to author activities. The late Lindsay Lough’s previously discontinued pictorial compilation of the Ecuadoran rain forest, “What Springs of Rain,” placed at #6 thanks to a large order from the family to be shared in remembrance with those who attended her memorial service. Lawrence Knorr’s “Wonder Boy: The Story of Carl Scheib” took #7 in advance of the book release party in Gratz in early July. Kyle Romines “The Keeper of the Crows” returned to the rankings at #8 thanks to author activities. “The Blue Ground,” by Joe Harvey, grabbed #9 as interest increased thanks to reviews. Alan Mindell’s “The B Team” took #10 and “The Closer” #19 thanks to author appearances in southern California. Karim El Koussa netted #11 and #12 with “Jesus the Phoenician” and “The Phoenician Code” thanks to export orders. Anthony Julian’s “Pit Bulls” held at #13 as interest in the breed continues to be strong. Admiral McCauley’s international thriller “Israel Under Siege” slipped to #14 following his book release party at Bay Books in Coronado, California. Bridget Smith’s historical fiction “Where Elephants Fought,” about a Confederate general, rode in at #15 as the author continued her speaking rounds. Ken Mercurio’s “Head Over Wheels,” recounting his cycling mishap and subsequent medical recovery, returned to the rankings at #16 due to seasonal interest. Sheldon Munn’s “Freemasons at Gettysburg” held at #17 thanks to steady orders from gift shops in Gettysburg. The Sgrignoli’s “Dinorific Poetry Volume 1” re-appeared in the rankings at #18 thanks to author activities. Mike Campbell’s “Amelia Earhart: The Truth at Last” continues to sell well at #20 as readers acquire this second edition. Sue Fox McGovern’s “Raising Monarchs,” instructing us how to save the butterfly species, charted at #21 thanks to sales to lawn and garden stores in the midwest. Ernie Marshall’s “That Night at Surigao” moved up to #22 due to continued interest in the subject matter. M A Richards’ spy thriller “A Choice of Enemies” slid to #23 as his tour of bookstores in the northeast wound down. “Winter of the Metal People” by Dennis Herrick held at #24 due to sales in New Mexico. “OneWay: The Oracle” by Robin McClellan and Ruth Watson debuted at #25 thanks to interest in the Harrisburg area. Joe Fair’s Viet Nam memoir “Call Sign Dracula” continues to sell well among the veterans, ranking #26. Sherry Knowlton’s publicity efforts yielded #27 & #28 for “Dead of Autumn” and “Dead of Summer.” Increasing concern about tensions at the Mexican border has caused Bob Stout’s “Hidden Danger” to rise onto the chart at #29. Michael Hawley’s “The Ripper’s Haunts” held on at #30 as it continues to get interest from Ripper fans. Gratz, PA (July 7, 2016) — Former major league baseball player Carl Scheib, the subject of the recent biography Wonder Boy: The Story of Carl Scheib — The Youngest Player in American League History, traveled to his hometown of Gratz, Pennsylvania from his residence in San Antonio, Texas for a presentation and book signing on Thursday July 7th, 2016, held at the Gratz Community Center. The event was organized by the Gratz Historical Society. ABC27 from Harrisburg and The Citizen Standard covered the event, which was well-attended–over 120 people were present. Welcome everyone! What a turnout! Thank you so much for coming out this evening to support Carl Scheib. Carl, Sunbury Press, and the Gratz Historical Society all thank you for doing so. My name is Lawrence Knorr. I am the author of Wonder Boy: The Story of Carl Scheib — The Youngest Player in American League History. My ancestors are from the nearby Mahantongo Valley, near the village of Rough and Ready and Salem Church, just a few miles from here. I’ll never forget the first time I saw the valley, crossing over Mahantongo Moutain. At the peak, I looked out and saw the beautiful Mahantongo Valley before me with the Salem Church nestled below. It was a sight to see. I have collaborated in several books about the area, and as the owner of Sunbury Press, have published a number of books about the region, including those by Steve Troutman, whom many of you know. So, many people have asked me … why write a book about Carl Scheib? Some have even asked me if I did it because I was related to him. The truth starts with a funny story. A few years ago, while working with Joe Farrell and Joe Farley of the Keystone Tombstones series, which we publish, I was looking for interesting stories for their Sports volume. I stumbled across Carl’s story online — the youngest player in modern history when he came up — and saw he was from Gratz, Pennsylvania. Given his age, I figured he was probably dead and buried in Pennsylvania. The Joes write about famous or noteworthy people buried in Pennsylvania. So, I called the Joes and told them about Carl, and they were intrigued. A few days later, I had dug further into Carl’s situation and found him alive and well in San Antonio, Texas. I called the Joes back and let them know Carl was off the list — he was still alive! They expressed a little disappointment, and then I declared I would write his biography anyway. I reached out to Carl with a letter and soon we were talking on the phone and via the mail. We agreed it would be best to meet in person at his home. My wife, Tammi, and I flew to San Antonio and spent three days with Carl reviewing his memorabilia and photographs and interviewing him about his life and his days in baseball. We also attended a couple Texas League games at the Missions ballpark. It was a lot of fun to watch a few games with Carl and talk about baseball. The book took two years to write — part time — and was released by Sunbury Press last month. It relates the interesting story of Carl’s rise from high school ball to the major leagues at the age of 16, and recounts every major league appearance he made. The story of Carl’s discovery, due to the actions of a local grocery clerk, Hannah Clark, and a traveling salesman, Al Grossman is somewhat apocryphal. The story was repeated again in a recent news article in the Harrisburg paper. What is not told is that Hannah was much more than a grocery clerk. She was Carl’s cousin! What also was not told accurately by Clifford Kachline back in 1948 in The Sporting News was story of Carl’s tryout. In those days, they embellished news stories to put a family-oriented spin on them. In the story, it was assumed Carl’s father drove him to the tryout in 1942, when Carl was 15. What he didn’t say was that Gummy Rothermal, an older pitcher on the Dalmatia team in the West Branch League drove Carl because he had a good car. Can you imagine two young lads, in 1942, driving on the two lane roads from the valley to Philadelphia — over 100 miles — to try out for a major league team? I can only imagine the conversation they had. I am sure Gummy hoped he’d get a tryout too, but that didn’t happen. Carl had been a high school star in 9th, 10th, and 11th grades. Gratz won the baseball championship in 1941, and in 1942 with Carl as their ace pitcher. Carl was also invited to pitch for Dalmatia in the West Branch League … a town league of adult men who admitted teenage players during the war years. Carl went to his tryout at Shibe Park in Philadelphia. It was raining that morning, and the game had been canceled. At first Carl thought the tryout was canceled too! But, after he found his way into the Athletics’ ballpark, he received his tryout in front of Connie Mack and others in the A’s brass. Connie told him to hurry back next year, after school was out. Carl went home and did just that. The following spring, in 1943, after school was out, he quit high school and headed to Philadelphia. He initially was a batting practice pitcher, and then began taking trips on the train with the team. By September, he was ready to go, and signed a contract. At this point, his father came from Gratz to co-sign, since he was underage. Carl then entered his first game that day — against the New York Yankees! When he walked onto the field, Carl was the youngest player in modern major league history. There had been some younger players back in the 1800s, but no one as young as Carl, at 16 years, had played major league baseball since. He was used sparingly in relief the rest of the way and had respectable numbers. The next year, a 15 year old named Joe Nuxhall threw less than an inning of crappy ball giving up five runs on five walks and two hits. Nuxhall then went to the minors and did not return for seven years! Carl stuck in the big leagues and got better and better. Personally, I think there should be an asterisk next to Nuxhall’s appearance, but it is, what it is. Carl is still the youngest player to have ever appeared in the American League. Carl was with the A’s the whole season in 1944, and then when he turned 18, in 1945, he was drafted into the Army early that season. Fortunately, the war was ending when Carl went off to Germany as one of the occupation troops. He was stationed at Nuremburg during the trials. He participated on two different teams in the Army, and won nearly all of his games, including the GI championship in Germany. Upon his return in 1947, Carl was back with the A’s and continued what many would say was just an “average” major league career. But I disagree. Carl played 11 seasons at the highest level of his sport. Not many players do that. He had not played in the minor leagues before coming to the majors, and had performed very well at a very young age. Anyone who makes a major league is one of the top players in the sport, and Carl played at that level for over a decade. So no, Carl was not a hall-of-famer, or a World Series winner, or an All-Star, but he was a solid performer for many years, who did some remarkable things, some of which I will talk about in a few minutes. Connie Mack — Connie Mack was involved with the Philadelphia A’s from their beginning, and spent over 50 years in baseball from the late 1800s into the 1950s. His teams in the early 20th century were the “Yankees” before the Yankees became good. Carl was signed and managed by Connie Mack, one of the all-time greats. So, Carl’s career, thanks to Mack, bridges all the way back to the early days of major league baseball, and carries into the golden era. World War II — Many players got their opportunities to play thanks to a lot of the players entering the service. Carl was someone who benefited from this situation. This is an interesting era in baseball history, which has been studied quite a bit. Quite a few of these players were older and were called up from the minors to play. Many of their careers ended when the boys came home. Carl was not one of them. He stuck — and got better when the best players were back. A’s last pennant race — The A’s were in Philadelphia until the late 1950s, when they moved to Kansas City and then onto Oakland. We now know them as the Oakland A’s and many can remember the great teams of the 1970s. But the Kansas City A’s never were in the pennant race, so it was the 1948 A’s of Philadelphia, who last challenged for the lead. This team was in first place as late as August, with Carl as one of their star pitchers having his best season. Even after the A’s faded, Carl continued to pitch well as the Indians, Red Sox, and Yankees battled for the championship. The last week of the season, Carl beat the Yankees, denying them the pennant, allowing the Indians to win. Under pressure, Carl was brilliant, and was somewhat of a Yankee-killer at that time. Integration — Carl played through the era when baseball became integrated — when Jackie Robinson entered the National League, and Larry Doby entered the American League. Carl faced Doby on a number of occasions, and usually didn’t do too well against him. The A’s hired a heckler to harass Doby when he was in Philadelphia. Some of it was good-natured, but a lot of it was shameful and mean. In fact, Carl related in the book that the other players were hard on the African-American players, treating them very badly. Carl felt sorry for them. All-Time Greats — Carl got to meet some of the all-time great ballplayers. He was coached by Chief Bender, and Al Simmons. He also met Babe Ruth during Connie Mack’s celebration of 50 years in baseball. So, Carl interacted with some of the greatest old-time ballplayers. Opponents — Carl played against some of the greatest players of all time during baseball’s golden era, and often got the better of them. He faced Ted Williams, Joe Dimaggio, Yogi Berra, Larry Doby, Mickey Mantle, and many more. On the mound, his opponents were Satchel Paige, Bob Feller, Bob Lemon, Hal Newhouser, and others. Did Great Things — Carl threw complete game shutouts, hit a grand slam against the White Sox, hit four other major league homeruns, had many clutch wins and saves, and even clutch hits as a batter. Good hitter — Carl was a good-hitting pitcher. He could have been an outfielder, and played in the outfield in a couple games. He was also a key pinch hitter. One year he hit .396 — in over 50 at bats — in the major leagues. This is tough to do! He was a lifetime .250 hitter. One game in particular made me laugh. It was really remarkable. Carl was pitching a complete game. It was tied into the bottom of the 9th. With a couple men on base, guess who came up to bat — Carl. Now, these days, how likely is it that a manager is going to allow the pitcher to bat in the bottom of the 9th of a tie game. This doesn’t happen anymore! Ever! So, Carl is allowed to bat, and what does he do? He gets the game-winning walk-off hit! I looked into this a little bit, and I don’t know of any other instances where a starting pitcher, throwing a complete game, has the walk-off hit to end the game. It certainly hasn’t happened in quite awhile, if at all. Admittedly, I didn’t look too hard, but it is remarkable nonetheless. In another game, in the minor leagues, near the end of his career, the manager was thrown out of the game for some reason, and Carl being one of the older players on the team, was asked to manage the rest of the way. Along comes the bottom of the 9th, and the game is tied. There are a couple of men on. Guess who Carl, the manager, inserts as a pinch-hitter? Himself! And, guess what he did? He got a hit – a walk-off hit to win the game. So, in summary, Carl was simply a great country ballplayer. On better teams, or with better management, or modern technology, I am sure he would have had an even better, and perhaps longer career. Carl truly was and is the “Wonder Boy” from Gratz! “Hass” Hassenger then spoke for a few minutes. He is the only other surviving member from the Gratz HS championship teams. He reminisced about the old days when they were boys playing ball in the valley. Carl Scheib then answered questions and told jokes and stories for about 45 minutes. Gratz, PA — Former major league pitcher Carl Scheib, who is the youngest player in American League history, having taken the mound for Connie Mack’s Philadelphia A’s in 1943 at the age of 16, will be at the Gratz Community Center July 7th, 2016 at 7 PM. Carl’s biographer, Lawrence Knorr, will present his latest book Wonder Boy – The Story of Carl Scheib: The Youngest Player in American League History. Lawrence and Carl will then answer questions and sign copies of the book which will be for sale through the Gratz Historical Society. Carl will then donate some of his memorabilia to the Gratz Historical Society Museum. Carl Scheib, from Gratz, PA, was a young farm boy of 16 who was signed to a major league contract by Connie Mack of the Philadelphia Athletics. Carl enjoyed 11 years in the major leagues, interrupted by his service in World War II. When he made his first appearance in 1943, he was the youngest player in modern major league history. The following season, Joe Nuxhall of the National League’s Cincinnati Reds, pitched 2/3 of an inning at age 15, breaking Carl’s major league record, but Carl retained his American League record. Known as a good-hitting pitcher, Carl hit .396 in 1951 and .298 in 1948. He hit five home runs in his career, including a grand slam. As a pitcher, Carl was a key hurler on the 1948 Philadelphia Athletics, going 14-8 during a tight pennant race. He also went 11-7 in 1952, and saved 11 games in 1951. Behind his “pitch- to-contact” approach, the A’s set the all-time record for double plays in a season with 217 in 1949, a record that still stands. Wonder Boy chronicles the rapid rise of Carl Scheib from his high school days at Gratz and his contributions to Dalmatia in the West Branch League, to his subsequent major league career, facing such players as Joe DiMaggio, Bill Dickey, Ted Williams, Yogi Berra, Bobby Doerr, Satchel Paige, Bob Lemon, Larry Doby, Bob Feller, Luke Appling, Early Wynn, Mickey Mantle and many more.